This example shows how to use motion planning functions which use A* to find shortest way from point A to point B. 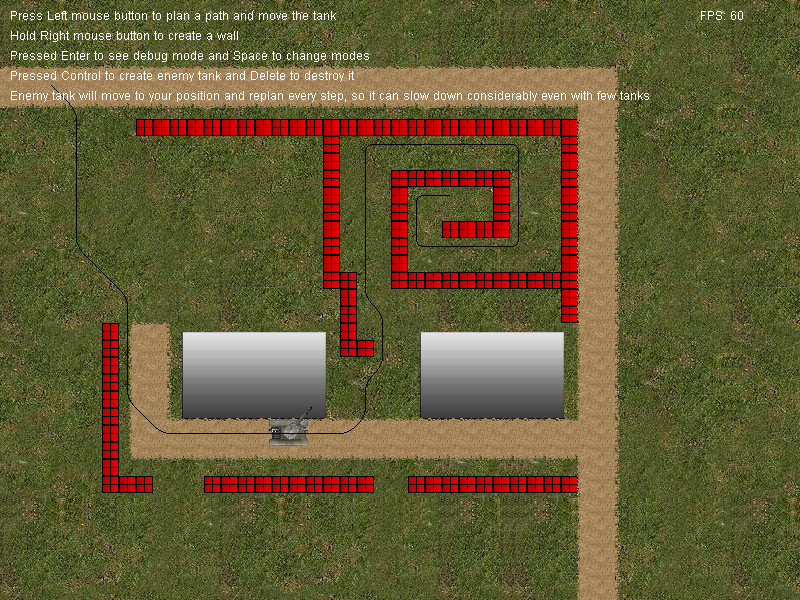 Can be used to solve mazes, AI or just in a strategy game for units. Works great! but for some reason when I look in the objects, it labels the action (I'm assuming it's supposed to be "run script) as "unknown action." I know this comment is old - But it shows up for me. Maybe the file got corrupt or LGM/ENIGMA was broken for a minute. Now with the latest stuff it's ok.